If you are the owner of a Samsung Galaxy S4 device you must be knowing what and where “Life Companion” text is present and you must be annoyed or bored by looking at it every time you switch on your Galaxy S4. So here is a way to remove that irritating Life companion Text and either leave it blank or put your own text like your name etc. With a Screen size of 136.6 x 69.8 x 7.9 mm and 1080×1920 pixels on its 5 inch screen it is one excellent Smartphone. 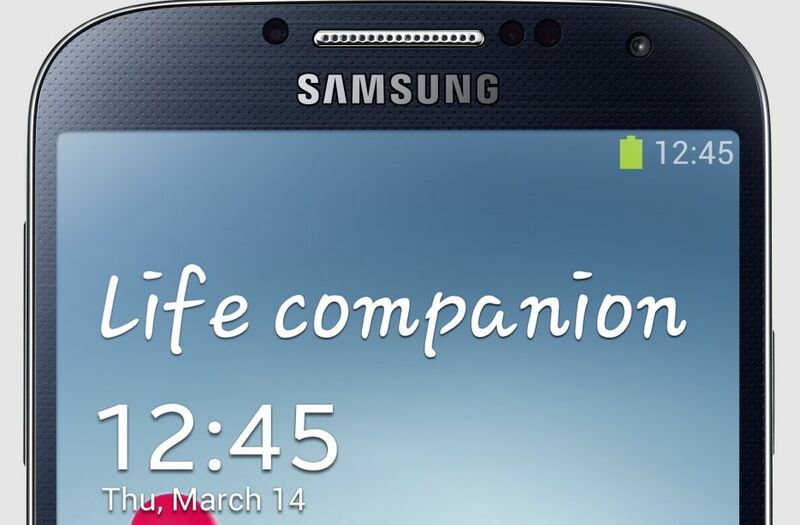 Samsung with every Galaxy device gives its trademark Wallpaper and this time it has even included a text named “Life Companion” about which many S4 owners have complained of being irritating and boring. Go to Lock screen > Lock screen widgets. So you can wither change the Text and even change the text size, font type according to your taste from the same page. I don’t like the available fonts for the lock screen message. I changed the life companion to my name but I want a personal text style too. How do I do this?